The green salsa adds a nice kick to these nachos! Seed and chop the red bell pepper. Drain and rinse the can of white beans. In a large skillet, brown the ground beef with the minced onion and garlic powder. Drain and return to skillet. Add the green salsa, drained white beans, chopped red bell pepper, salt and pepper. Combine and heat together. On a large plate or platter, add a thick layer of corn tortilla chips. Spoon the meat mixture on top and then sprinkle the shredded cheese on top. If needed, place in the microwave to melt the cheese. 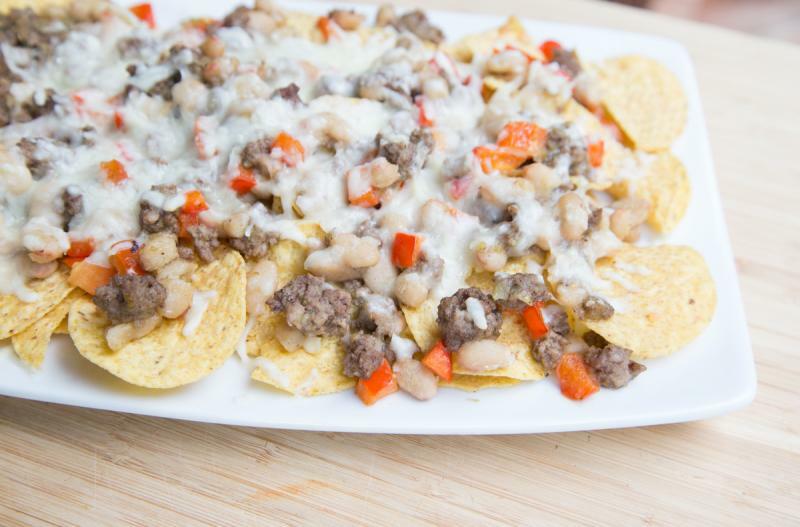 Serve Beef Nachos Verde with fruit. Brown 2 lbs. ground beef with 2 Tbsp minced onion and 2 tsp garlic powder. Set aside to cool. Open, drain and rinse 2 cans of white beans. Put baggie in the freezer and freeze up to 6 months in fridge freezer or 12 months in a deep freezer. 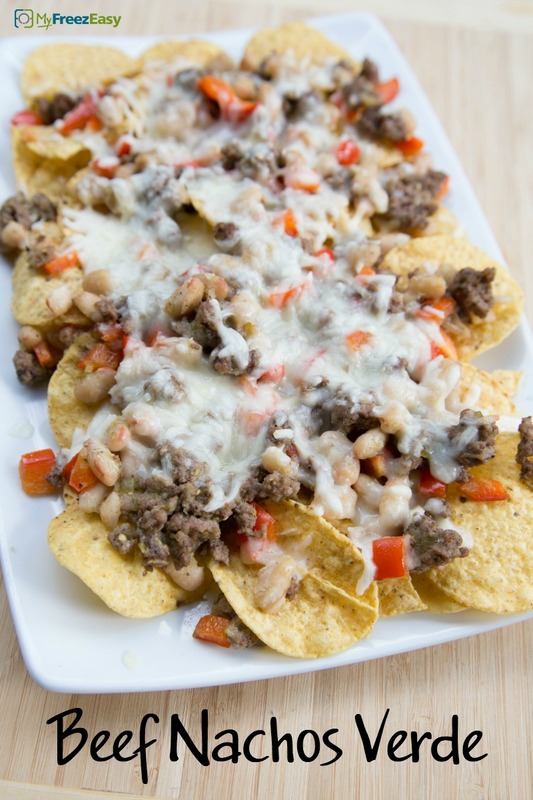 Thaw in the fridge overnight, or a warm bowl of water for about 20 minutes, before transferring to the skillet for reheating and then assemble the nachos as directed. Thaw and reheat in the skillet. Assemble nachos with corn tortilla chips, reheated beef mixture and shredded Monterrey Jack cheese.